Hay Day: Since their latest update, they’ve been having some serious connection issues and the game will now randomly quit. When watching ads, the game might also unexpectedly quit so it takes forever to get that one diamond. And lastly, if the game is running too slowly, the game will, yes you guessed it, quit. If I got an alpaca for every time the game quits, I’d be able to open up my own alpaca zoo (one can daydream). When Hay Day *is* running smoothly, it’s pretty awesome. In the meantime, they need a major fix for these bugs if they want to keep their players. 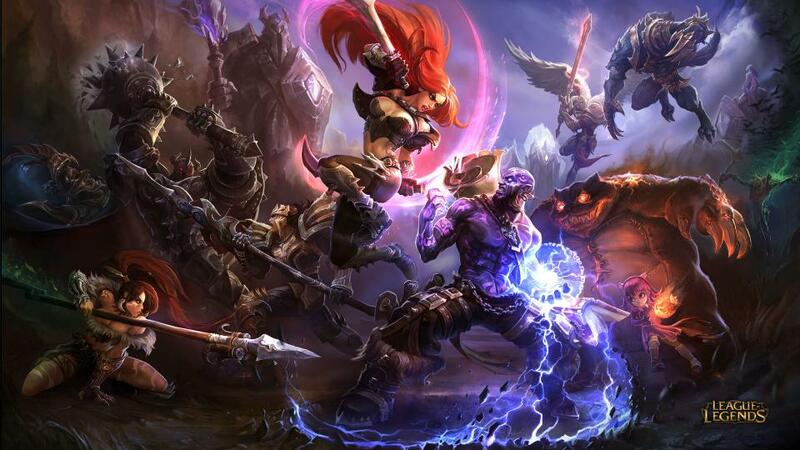 League of Legends: Still enjoy it though the game has been experiencing some major bugs as of recently. Last bug put people in matchmaking queues, let them choose their champions and then left everyone in limbo (prior to the champion reveal screen). It was cool because I could talk to my team mates during this delay but it would take upwards to 15 minutes before games would start. Unfortunately, the one game I entered never started and when I restarted the client, it wouldn’t let me reconnect. Smite: I hadn’t played Smite in a long while but I’ve started it up again. The Hi-Rez team is doing a pretty bang up job with their revamp. The graphics look better, there are more diverse maps and their selection of Gods is pretty awesome now. Only problem with Smite is that the hot keys are very different from what I’m used to, which makes game play a bit hard. Instead of using QWER for abilities, they use 1234 and if you want to increase an ability (when you level up), you have to press F1, F2, F3 or F4 for the corresponding ability. Sometimes, I feel like I’m mashing keys with monkey fists. Don’t Starve: Haven’t played it in awhile but I might be tempted to go back. Don’t Starve is a great indie game that’s available on the PS4. I understand that the game will delete itself if my character dies but it’s pretty rough when you spend a lot of time and effort to try to stay alive only to be chased by Hounds/Blue Hounds and die because you can’t do anything about it. Like I can survive through 12+ days of winter but I don’t yet have a weapon that can fend off 3 Hounds? I still don’t know how to get the ingredients to make a Dark Sword. Last time I played, I built a bunch of cool new items while playing the librarian. The crock pot is pretty awesome and I can craft taffy! Klei’s team is releasing a new update “soon”, which they’ve already presented with a very vague trailer. Knack: Although it’s one of the few multi-player games available for the PS4, I expected better. Each person can play a robot and you can have up to 2 players (one as main character, Knack and one as the sidekick). The glaring problem are the mechanics. The sidekick can respawn as many times as he/she wants as long as Knack is still alive. If Knack dies, then the sidekick is not allowed to continue playing and both players go back to the last checkpoint. Because of this style of game play, it’s easier to have Knack sit by on the sidelines while the sidekick does all the work. Overall, it plays oddly and isn’t as much fun as I had hoped. Special thanks to League of Legends and Don’t Starve for their screen shots. This entry was posted in Reviews and tagged don't starve, gamers, gaming, hay day, knack, lol, review, smite. Bookmark the permalink.